There are a number of web based book stores that we as selfpublished authors can turn to. One particular group known as aggregators, one of which is Smashwords which I guess most of us have heard of or possibly even utilize. But I was wondering, has anybody heard of another called Draft2Digital? To be honest I for one had never heard of it until a few days ago, but from the reviews I have read it seems to be pretty straight forward which is more than I can say for Smashwords whose formatting requirements would baffle Einstein himself. So I have taken a chance & submitted my book to them, which after just 3 days is now available at the stores you see bottom of this page. Now whether or not I´ll sell any books is another matter, but the service is free and their support is very helpful. I´d be very interested in hearing from any writers who use or have used this service, and curious as to what you thought of it. In the meanwhile I´ll keep you posted as to how I get on. 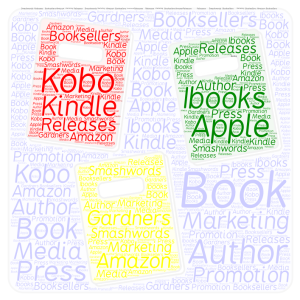 Smorgasbord Book Marketing and Promotion – What comes after The End! a very good post Sally, marketeing is a nightmare for the uninitiated like myself. Mass marketing is something I am reluctant to engage in as it is tantamount to selling door to door. Of course if they do feel they can leave a review on our Amazon or Goodread book pages that is fantastic. But asking for a review is not the only page at the back of our Ebooks that can be used for promotional purposes. Having finished a book, what is usually the first thing on a reader’s mind? If you are an author who has written more than one book, there is an opportunity to guide the reader to your other work. Not just with a live link to your Amazon account but with full page promotions for each of your books. Posted on May 8, 2017 May 8, 2017 Categories UncategorizedLeave a comment on Smorgasbord Book Marketing and Promotion – What comes after The End!